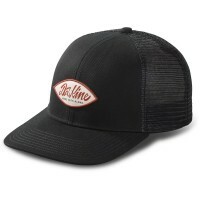 The Dakine Surf Script Trucker Cap is an absolute classic. A quality finish and a long life, they are distinguished, foremost, but their cool, timeless design that makes this Dakine Trucker Cap not only with surfers so popular. Customer evaluation for "Dakine Surf Script Trucker Cap India Ink"